Plinking with a .22 for the first time in her life. 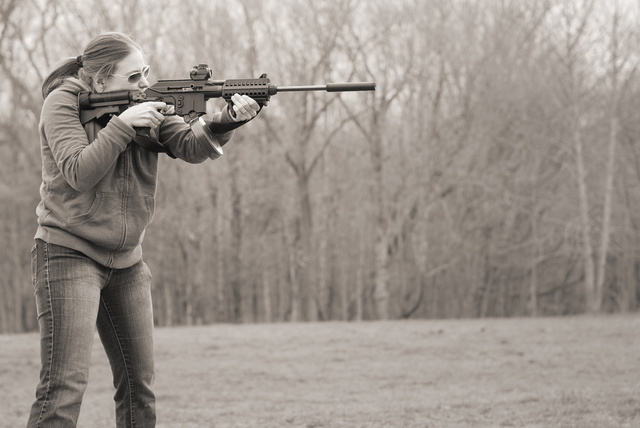 This entry was posted in interesting people, rifle, training and tagged 22LR, pretty, woman. Bookmark the permalink. You have the greatest job in the world! 22LR? I did not know that KelTec made that rifle in 22LR. It looks to be a 5.56mm. It’s an exact copy of the 5.56 and so my training favorite. My main rifle is an SU16.